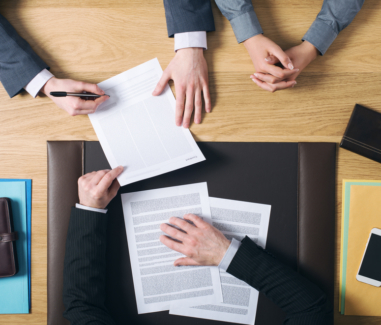 When you’re looking for a national document signing company to provide compliant face-to-face meeting and signing services for your debt settlement clients, you can end your search with National Paralegal & Notary (NPN). We have over a decade of experience and specialize in debt settlement signings. At NPN, our notaries go through extensive training in debt settlement before ever completing their first face-to-face signing. We understand the nuances of debt settlement and our time-tested training methods produce notaries who know how to guide your clients through the often stressful process of a debt settlement signing. Our mobile notaries understand that there is more to this type of signing than just collecting signatures. They understand and are sensitive to the special needs of your clients entering into a debt settlement program. Many notaries don’t feel comfortable conducting these signings because they don’t understand the requirements and have not been trained. You can rest easy that NPN will provide your clients with a trained notary who will act as an understanding and professional extension of your company. NPN operates nationally with the largest network or notaries and paralegals in the U.S. We are able to accommodate signings from the northern reaches of rural Minnesota to the congested streets of New York City. Over the past decade, our network has steadily grown, and we have amassed the best and brightest notaries in the country. When you choose a mobile document signing service like NPN, you will be provided with a knowledgeable notary, no matter where your client is located. One of the benefits of NPN’s document signing services is that many of our notaries are also paralegals. 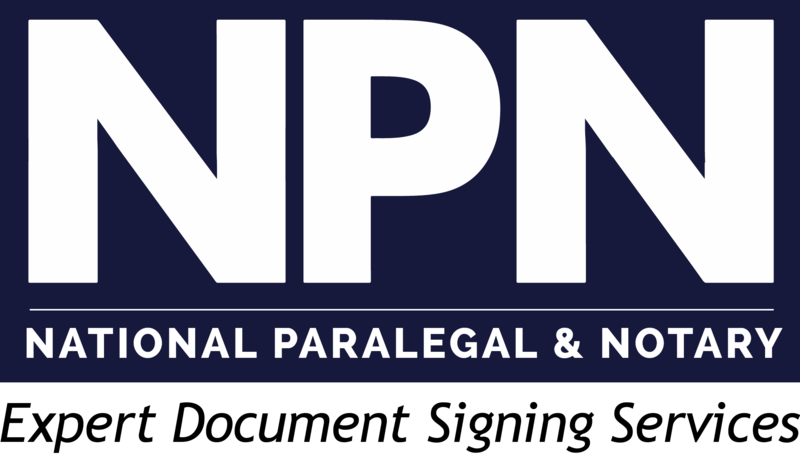 NPN originally started as a paralegal staffing company over a decade ago. We quickly noticed the paralegal/notary connection and have since expanded our services to include notary specific offerings. With NPN, you have the advantage of using a notary who is also a paralegal to conduct your debt settlement signings. We provide this service at no additional cost to our clients. A notary who is also a paralegal provides a wealth of knowledge to help your signing transaction go smoothly. NPN also finds that many clients are impressed to know their certified notary signing agent holds these credentials. You can rest assured that your transaction will be completed with the professionalism and efficiency it demands. And all this is done at a price that will rival any local or nationwide signing company. How does a business thrive? By doing more business. When you are in need of debt settlement signing services, NPN understands that you need the quickest turnaround possible. You need a trained notary who is familiar with the specifics of debt settlement signings. You need someone who can move things along quickly while still making your clients feel at ease. And this is exactly what you will be provided when you choose NPN for your debt settlement signing service needs. NPN is also able to offer same day service in many areas. Contact National Paralegal & Notary Today! NPN is different from other signing companies when it comes to debt settlement signings. Allow our expertise and industry experience to work for you and your clients. NPN provides so many advantages and we look forward to the opportunity to put our skills to work for your company. If you are ready to streamline your debt settlement signings, contact NPN today.